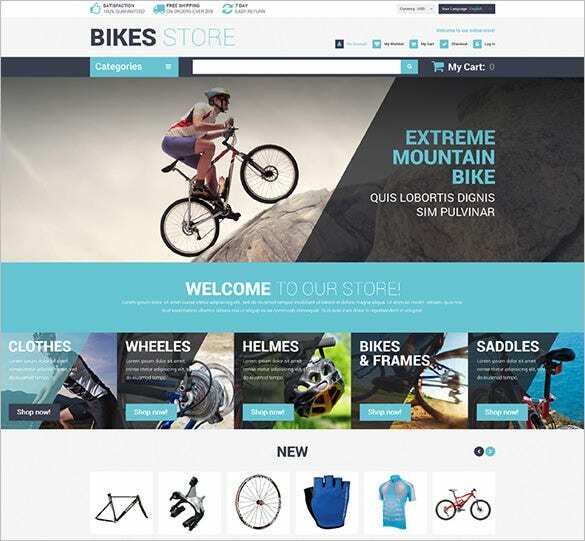 Forget the boring dropdown menu, with rich product categories and under a slick mega menu, supporting custom blocks with the Magento Themes. Download the best colour variant and the free premium templates available to create the website which will be fully responsive in nature. 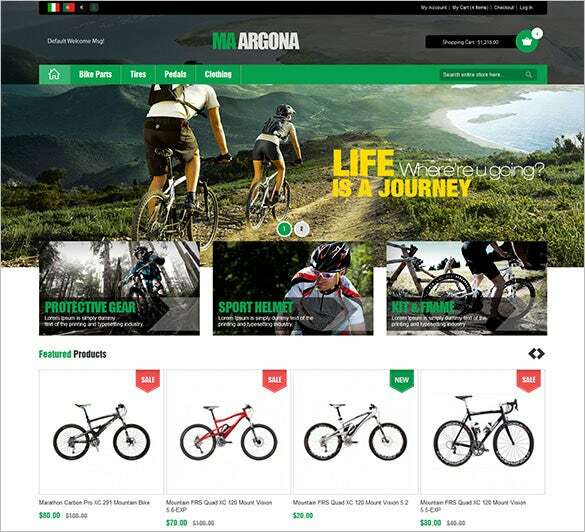 Include the multiple images for products along with the extensive reviews and wish list options for the customers. Loaded with unique eye-catchy style these bike Magneto themes are been crafted with delicacy thus resulting into artwork by the experts. 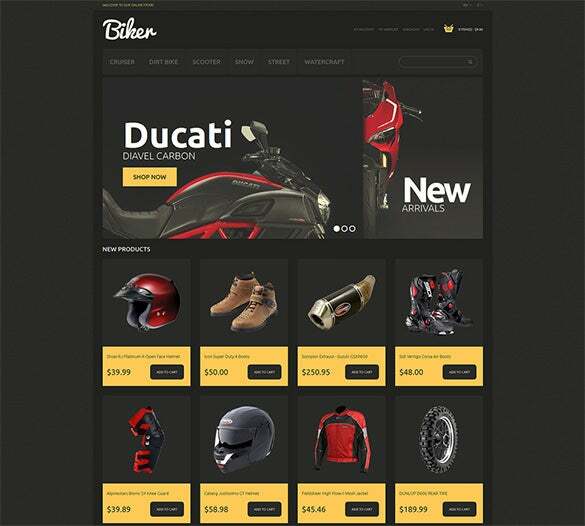 Further each of these templates are been well designed with sophisticated attire along with Ajax toolbar that adds to their styling. 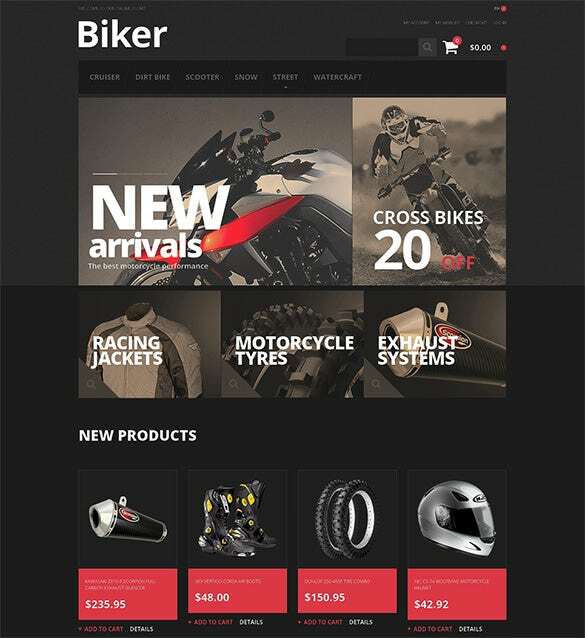 Mostly used for professional purpose these bike Magneto themes are been created for satisfying the clients. 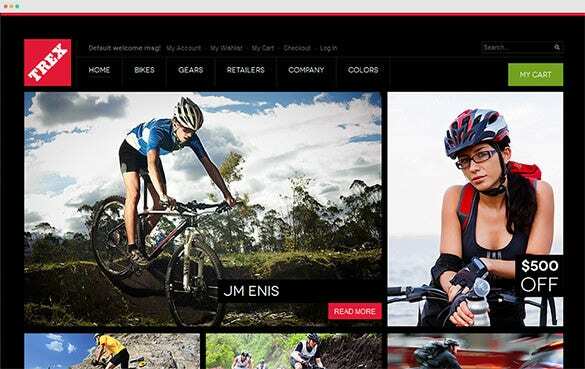 Loaded with unique eye-catching design these templates come with cross-browser compatibility that ensures the users with complete satisfaction. 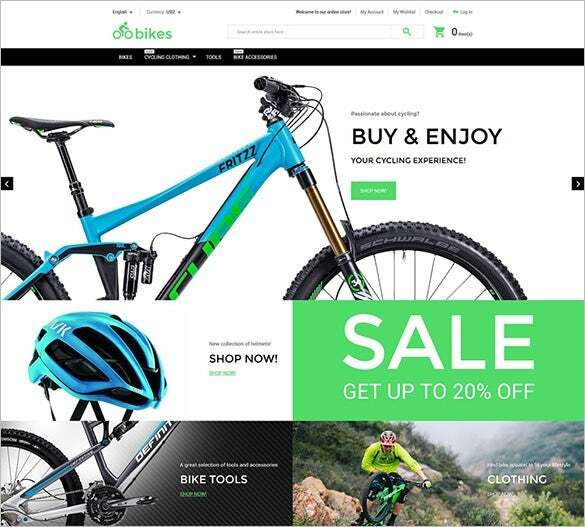 Mainly used for promoting mountains bikes these websites are best suited for those who like thrilling experience in their life. Pre-loaded with unique style and designer background these templates are quite handy and effective in real time usage. 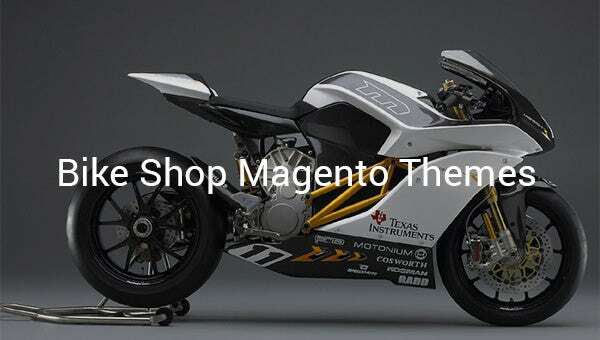 Motorsports theme is a superb choice for motor bike blogs and online stores. 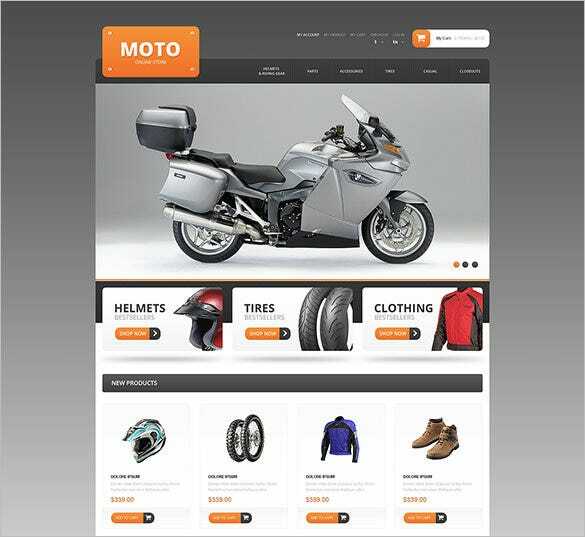 The theme includes mega menu, cloud zoom, commenting system, social options, newsletter popup, and video integration and is powered by bootstrap. Through admin area, you can create the orders along with multiple invoices shipments and credit memos. It also features 100% SEO friendly content and Google SiteMap support. Include the promotional codes which support UPS, UPS XML making it easy for website visitors. 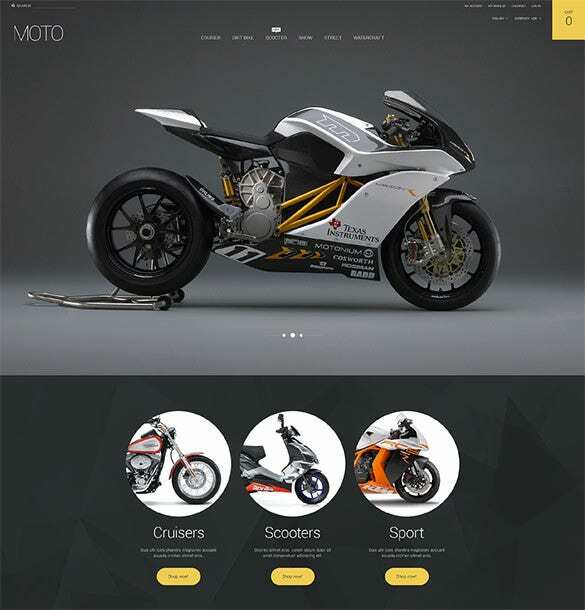 These templates are been designed with a creative styling and classy look making them best suited for promoting various bikes. Mostly used for advertisement these templates are quite effective in their purpose.